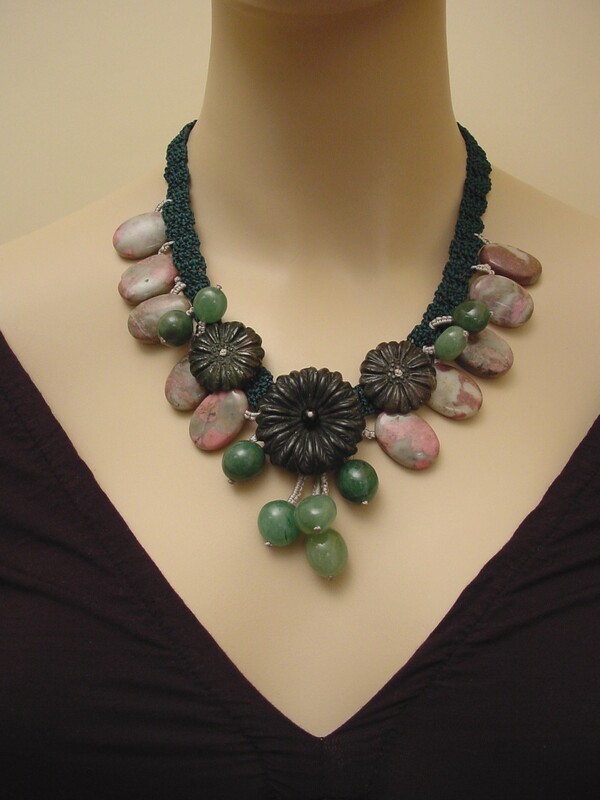 Buy Rhodonite / Amazonite / Adventurine hand-made necklace.Natural gemstone jewelry. Home > Aventurine Jewelry > Aventurine Necklace > Natural Gemstone Jewelry.Rhodonite / Amazonite / Adventurine Necklace. Hand-crocheted necklace with Rhodonite / Amazonite / Adventurine beads and flowers.Natural carved gemstone jewelry. Genuine Malachite Pendant Necklace.Srerling Silver Jewelry.